Located at the tip of the state of Victoria in Australia, Mornington Peninsula is well-known as a tourist destination, offering a diverse array of natural attractions, beaches and water sports, and unusually, several landscaped mazes. There are also wineyards and farms to visit, cozy camping grounds, and many bed-and-breakfast places in the area. 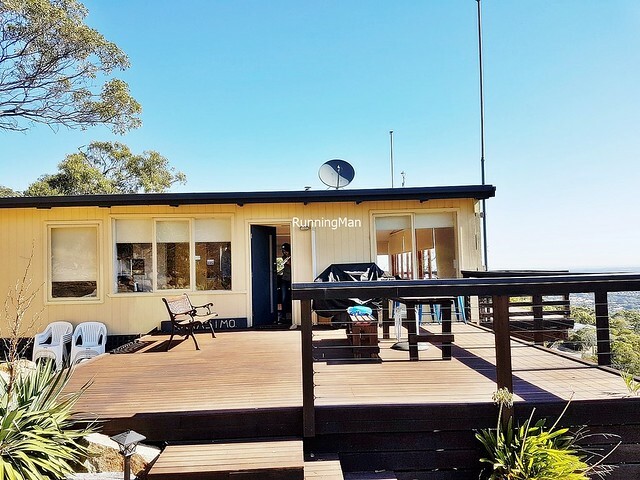 Here are the Top 5 Tourist Attractions to visit in Mornington Peninsula, all of which hold important cultural or historical significance. All these are permanent locations which can be visited and viewed at any time throughout the year. 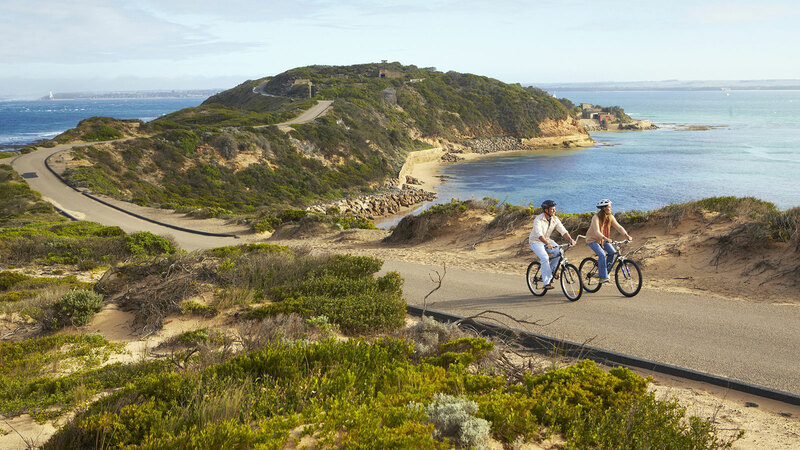 Among the most beautiful and scenic landscapes in Victoria, Australia, the Point Nepean National Park, at the tip of the Mornington Peninsula, offers amazing views of the coastline. 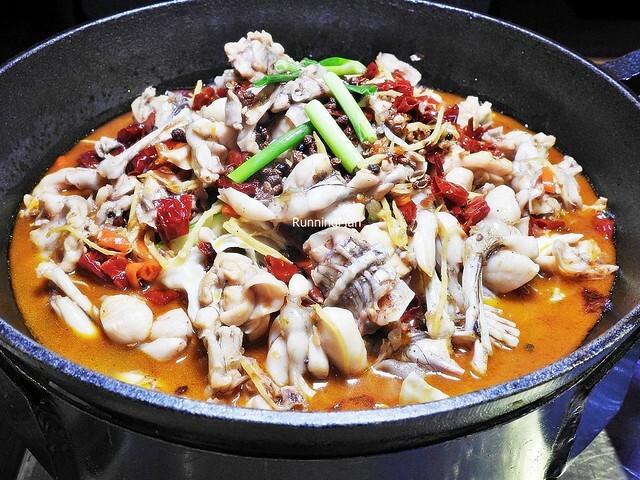 Besides the picturesque setting, the place is also rich in history. Visitors can walk amongst old military forts and colonial settlements, or hike scenic walking trails along the cliffs. 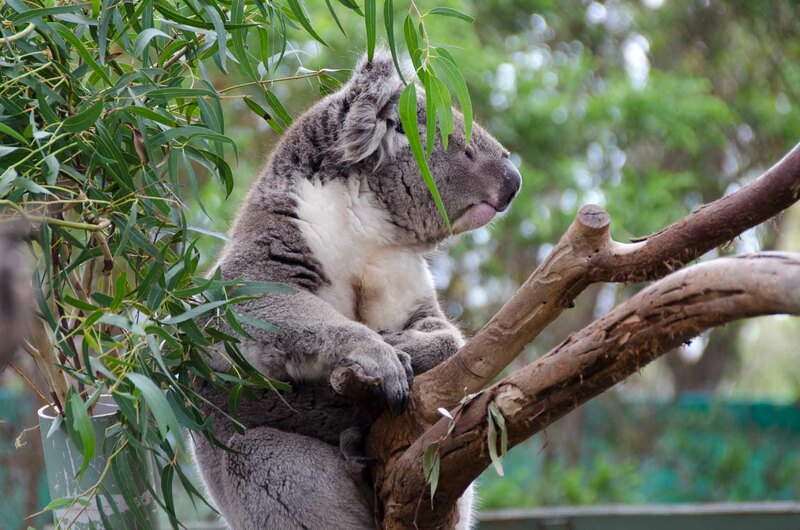 The Moonlit Sanctuary Wildlife Conservation Park is a 25-acre biopark in Mornington Peninsula, Victoria, featuring animals and plants native to Australia. 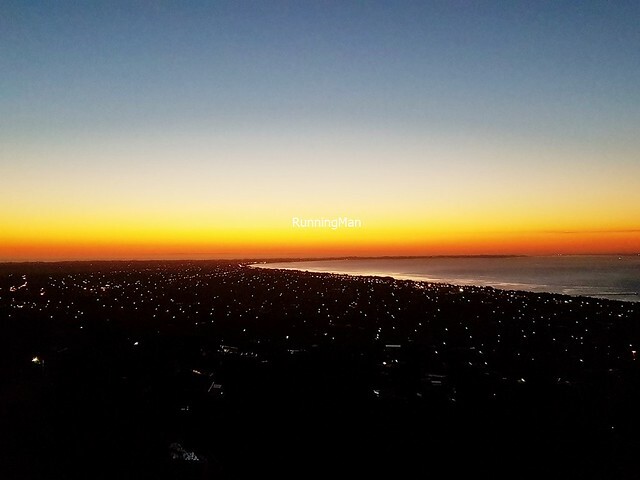 The unique experience here is a guided evening walk through the bushland, allowing visitors to spot a variety of nocturnal animals in their natural habitats. While it has a smaller quantity of flora and fauna, visitors gain more in-depth knowledge and appreciation of each, such as the spotted-tail quoll, the southern bettong, or the feathertail glider. 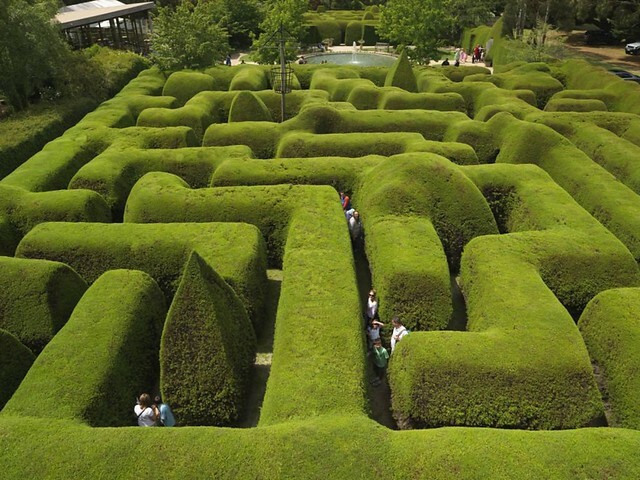 The Ashcombe Maze & Lavender Gardens in Mornington Peninsula, Victoria, Australia, is known for having the oldest landscaped hedge maze in the country, featuring more than 1000 cypress trees standing at over 3m high. 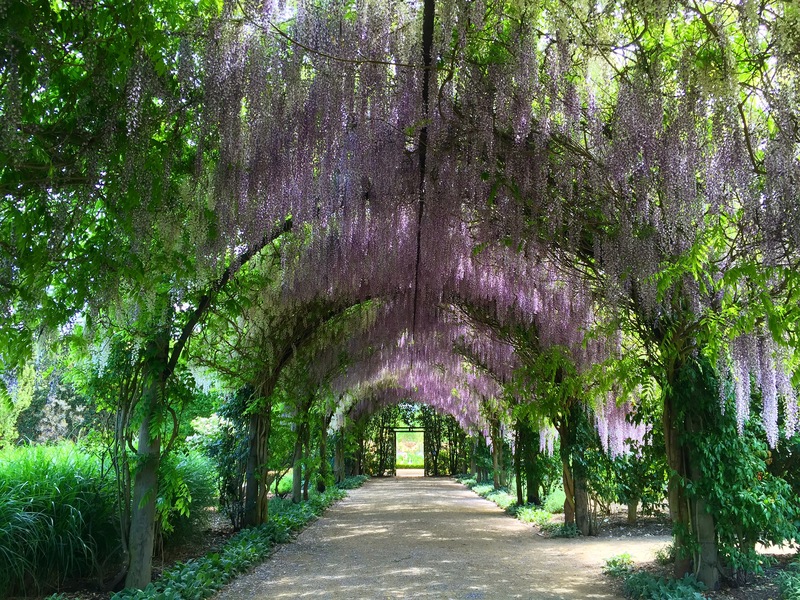 Other highlights here include the beautiful circular Rose Maze with 217 different rose varieties, and the year round flowering Lavender Labyrinth, which has more than 40 varieties of lavender flowers. 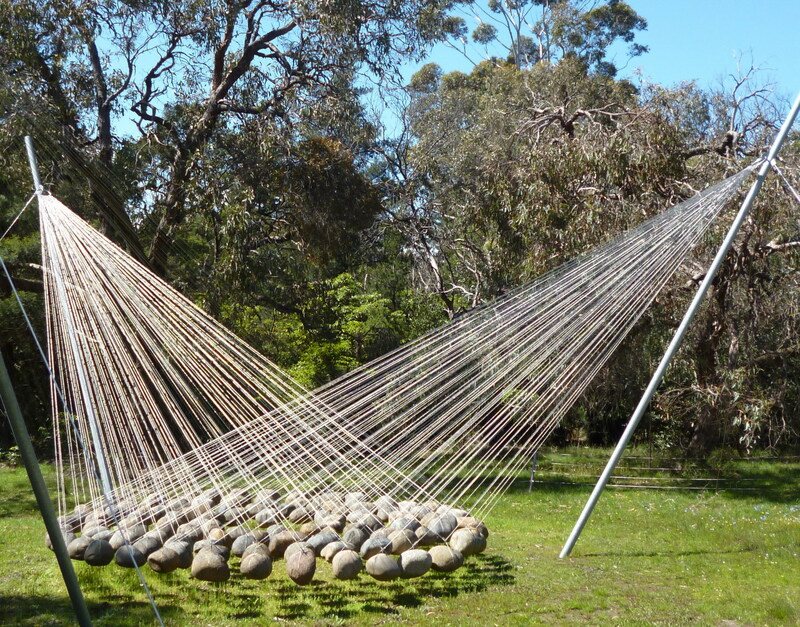 The McClelland Sculpture Park + Gallery is a sculpture and exhibition space for modern and contemporary art, displaying over 100 works by prominent Australian sculptors in its landscaped outdoor gardens. Committed to curating and developing the art scene in Australia, as well as Victoria, and the Mornington Peninsula, the 3 indoor galleries feature a collection of artworks on paper, paintings, photography, and sculptures. Wander the grounds, and each turn leads to something novel. 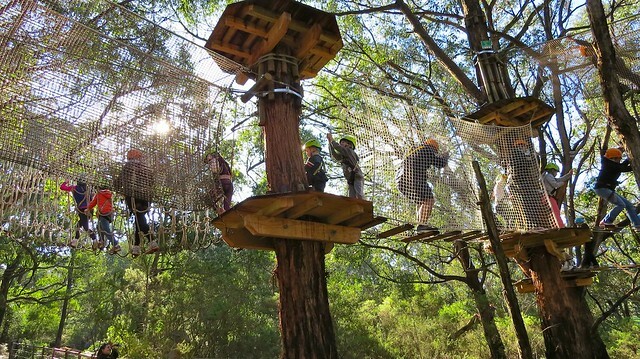 The Enchanted Adventure Garden is a family-friendly fun park in Mornington Peninsula, Victoria, Australia. It offers a wide range of activities like mazes, tube slides, treetop zip-lining, and canopy walks, along with 20 themed gardens and an outdoor sculpture park. Visitors are advised to spend at least 2 hours here, so advance planning is required. Spent about AUD $100 / SGD $107 per person. 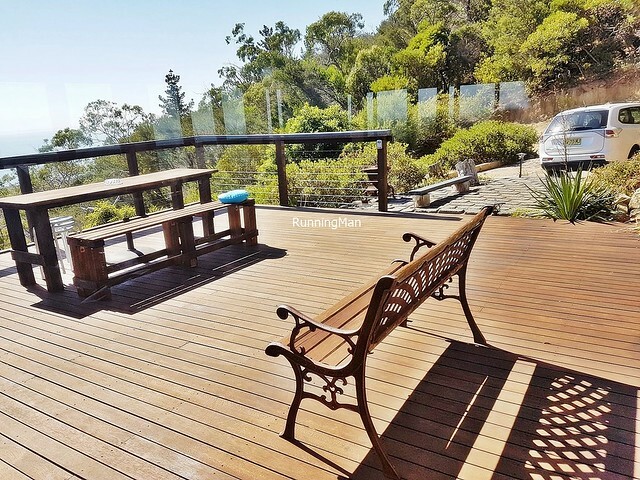 Located about 100 minutes drive away from the Tullamarine international airport in Melbourne, within the Mornington Peninsula area, the Panoramic Views Karasimo is a casual, relaxing homestay, where guest rent the entire house, purely on self-service, for the duration of the stay. 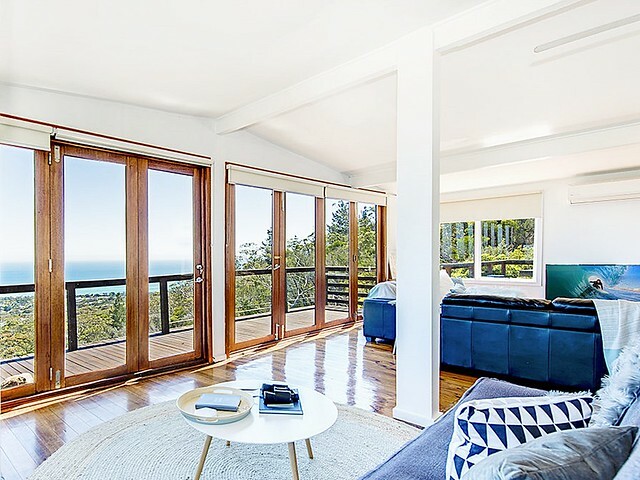 The most unique thing about the aptly named Panoramic Views Karasimo is the location, as the highest house in all of McCrae, it offers stunning, spectacular views of Mornington Peninsula all through the day and night. 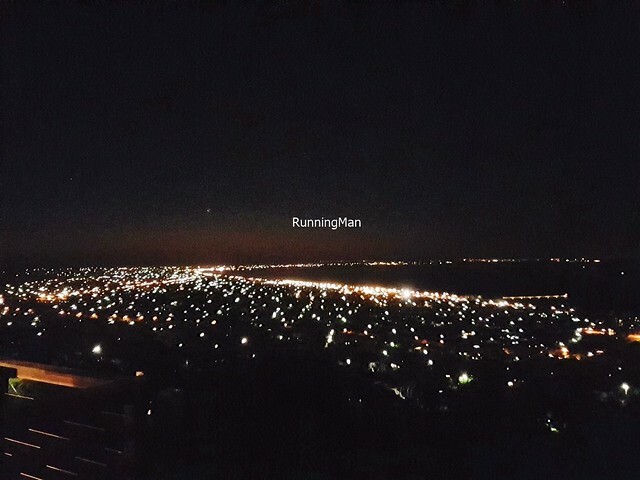 Ambience at Panoramic Views Karasimo wins from its fantastic view alone. 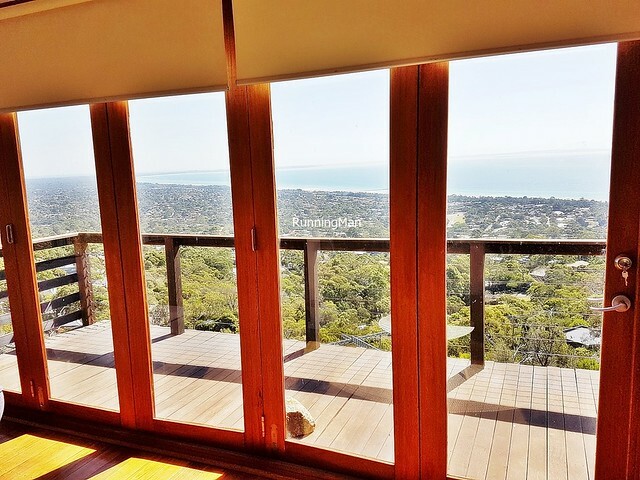 As you stand on the balcony, cool bracing air blowing through the trees, with the entire city and its lush greenery stretching out before you. 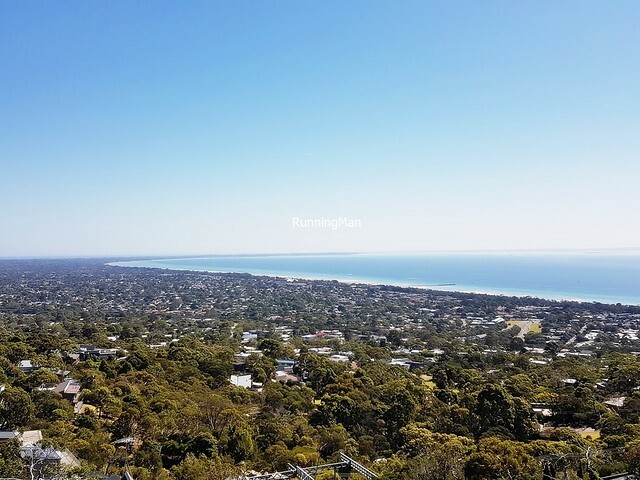 In the distance, the Point Nepean National Park and its scenic coast borders the Bass Strait, while the horizon meets with the skies, blue in the day, orange in the evening. At night, starlight above feels like a reflection of the twinkling city lights below. Awesome, couldn't get enough of the views. Rooms at Panoramic Views Karasimo are spacious and clean. The entire apartment is covered in wooden floorboards, lending a homely, comforting feel, though they creak quite loudly in some parts. Besides the main door, no other doors have locks, not even the bathroom, which is odd. 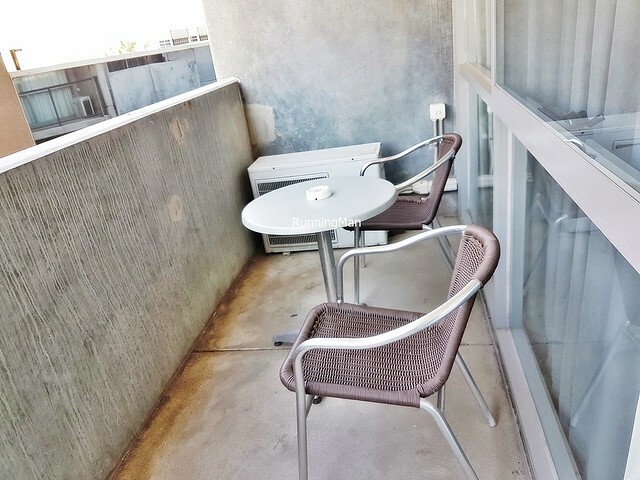 There are 2 separate bedrooms, a fully-equipped kitchenette, a living and dining area, and a wide patio and balcony. 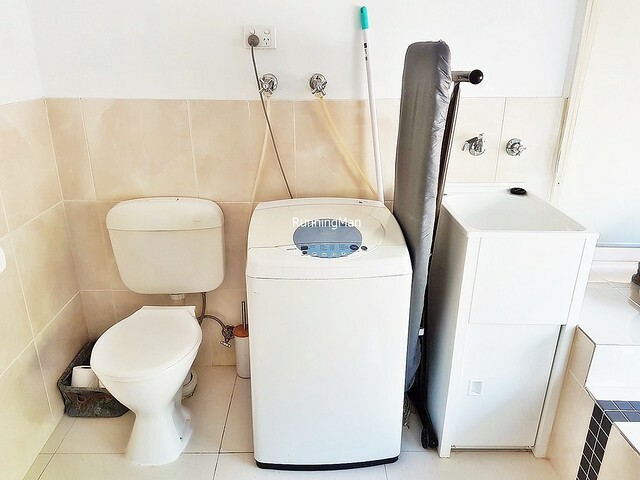 The bathroom offers both a shower and a bathtub, and while there is a washer, there is no dryer here. Food at Panoramic Views Karasimo is completely provided by yourself, as this is not a hotel or serviced apartment. 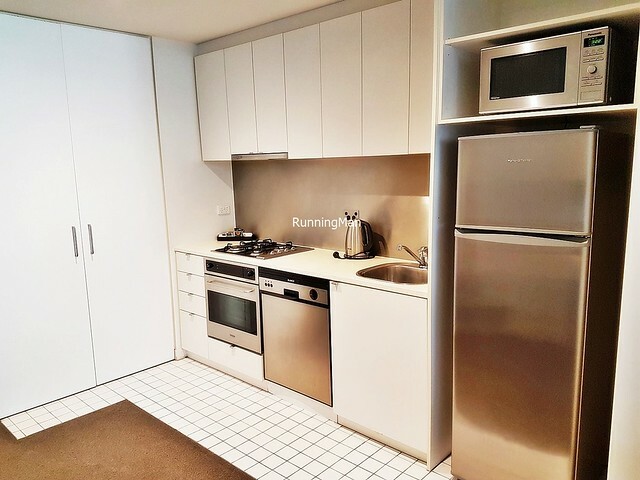 Guests are advised to buy their own groceries and cook, fortunately, the pantry is well stocked with cooking utensils, herbs, and some spices. We also tried the barbecue pit, and must say we're very pleased with its user friendly design, although it took awhile to start from cold. Service at Panoramic Views Karasimo is completely self-service. While the owner is reachable via mobile, don't expect to meet anyone here. 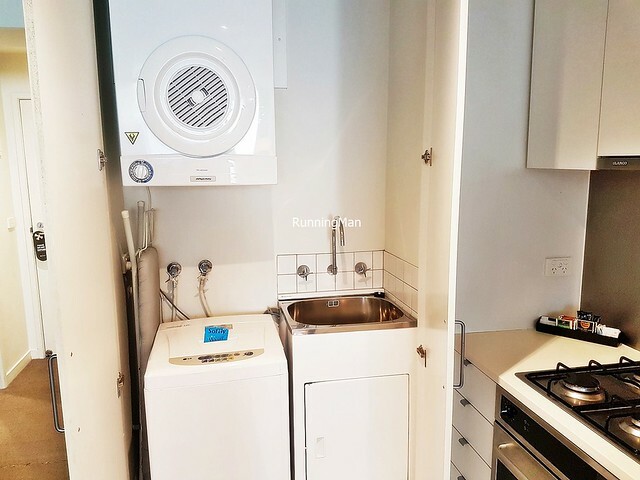 Simple, guided instructions are provided to guests to operate equipment like the kitchenette stove and oven, barbecue pit, and washer. 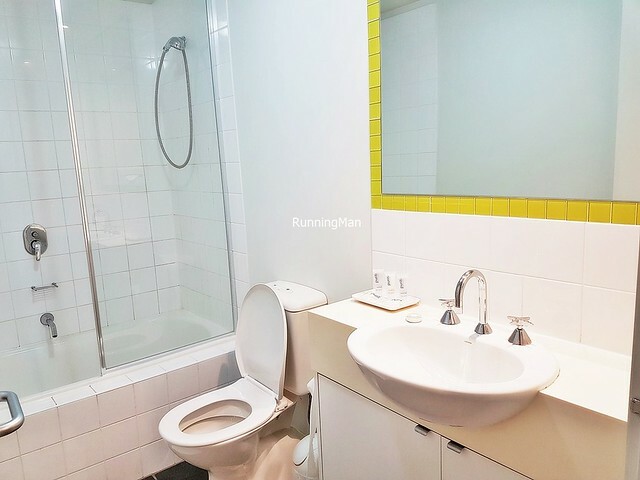 The place is only cleaned after each guest departs, so guests are expected to maintain a level of cleanliness, including clearing out trash on your own. The facilities and activities at Panoramic Views Karasimo are decidedly non-technological. There is no wifi here, because "with views like this, who needs wifi?". 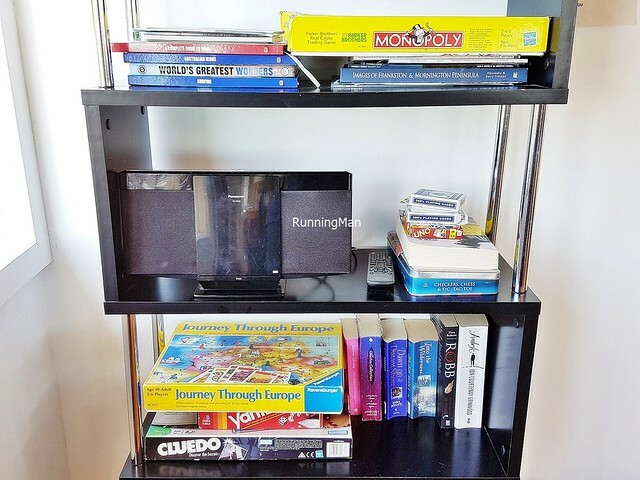 However, there is a good selection of board games provided, and the television has an attached DVD player, as well as some cable channels. 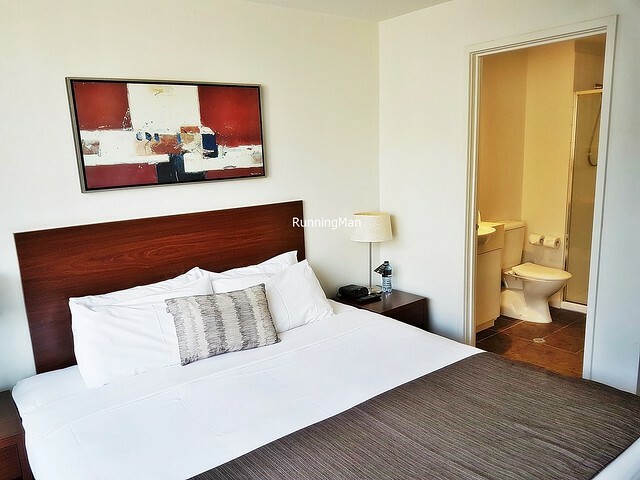 A stay here is really all about bonding and spending time together. There are no nearby amenities, you'll have to drive for at least 15 minutes or so to get to a supermarket. Yes, a car is required to get to Panoramic Views Karasimo, because the hill it's located on is super steep, and there are no lights at night. 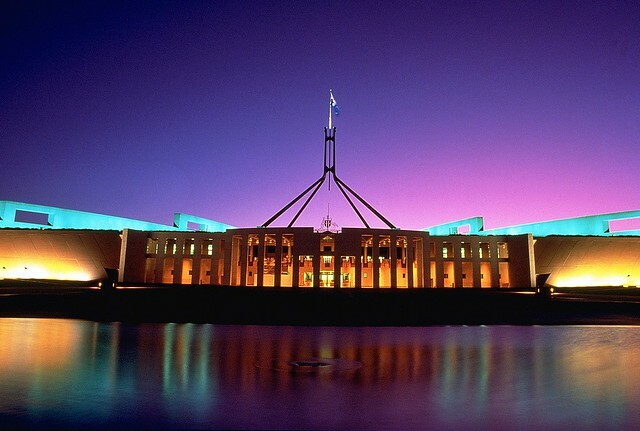 As the capital of Australia, the city of Canberra, in the Australian Capital Territory, is the nation's seat of government. 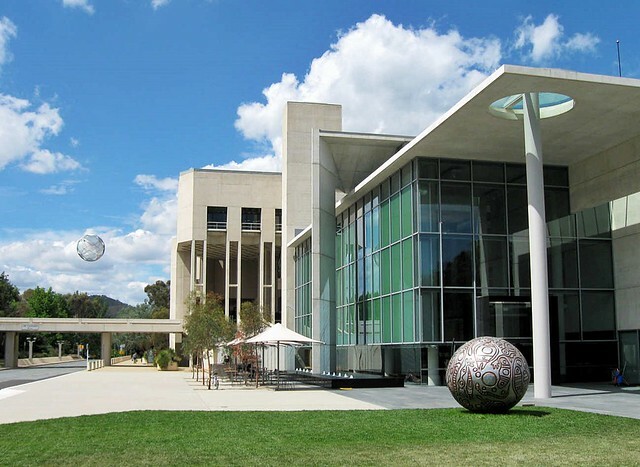 Having the embassies of the world represented within this planned city also means that Canberra is rich in both natural and cultural attractions, especially museums. And while entertainment options may be limited as compared to elsewhere, culture vultures and foodies will love this city. Here are the Top 5 Tourist Attractions to visit in Canberra, all of which hold important cultural or historical significance. All these are permanent locations which can be visited and viewed at any time throughout the year. Yes, the New Parliament House may be the seat of Australia government, but its striking design, courtesy of Mitchell / Giurgola & Thorp Architects, and its location on a small hill, makes it among the most attractive buildings in all of the Australian Capital Territory. 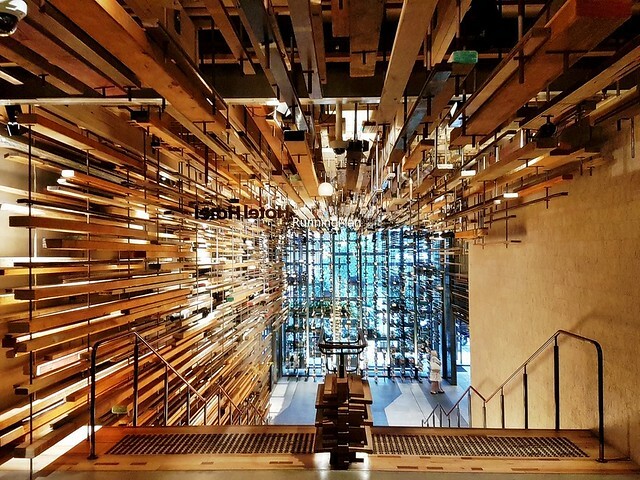 Designed to resemble boomerangs, and topped with among the tallest flagpoles in all of Canberra, the building and grounds are largely open to the public for viewing. Very picturesque place. The National Gallery Of Australia is the premier art museum of the country, located in downtown Canberra, in the Australian Capital Territory. 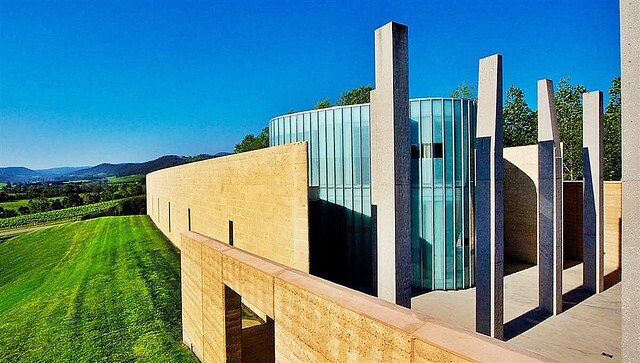 With more than 166,000 works of art spread across 8 themed collections (Australian, Western, Eastern, Modern, Pacific, International Photography, Crafts, and Sculptures), the extensive galleries requires a good amount of browsing time. They also offer guided tours, and host rotating exhibitions. 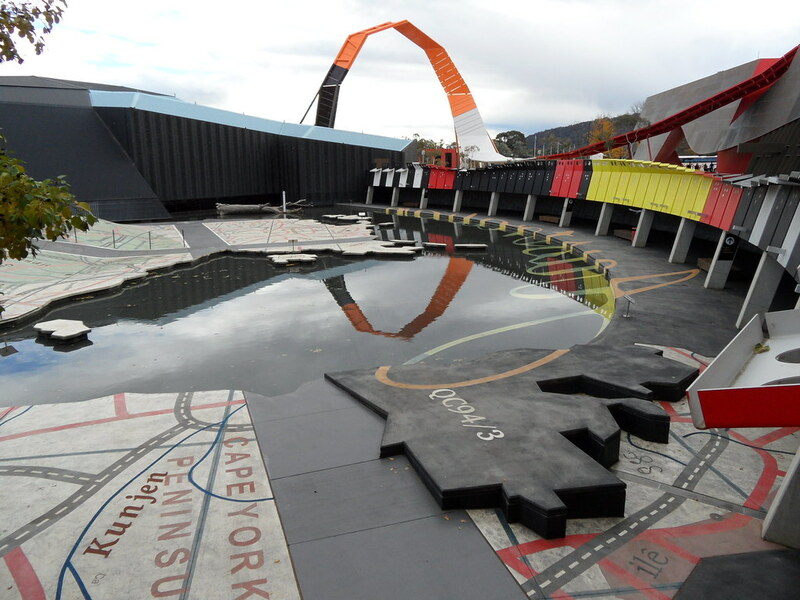 The role of preserving the country's social history is undertaken by the National Museum Of Australia, in Canberra, in the Australian Capital Territory. Highlighting key issues, people, and events that shaped the development of the nation till today, the museum curates over 200,000 objects of historical and cultural value. 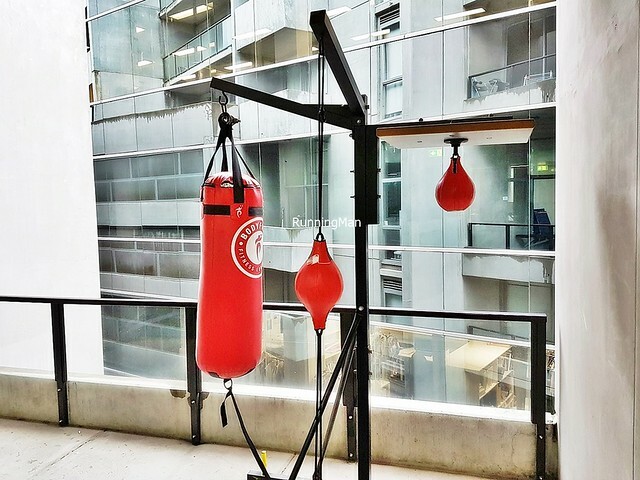 Spanning 3 themed collections (Aboriginal and Torres Strait Islander Culture & History, Australian History & Society Since 1788, and People's Interaction With The Australian Environment), the collection is rich and diverse. The building itself is iconic, based on a theme of knotted ropes representing the intertwined stories of the people. 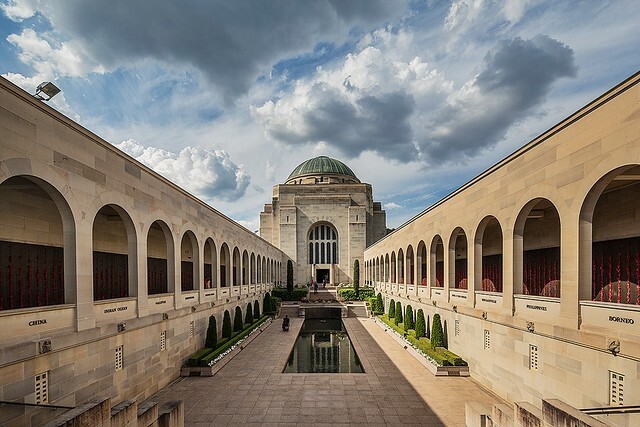 Regarded among the most significant memorials here, the Australian War Memorial in Canberra, Australian Capital Territory, is the country's memorial to those who took part in the wars involving the Commonwealth of Australia. The compound, designed in Byzantine architecture style, includes a sculpture garden, and an extensive military museum. A massive collection chronicles the involvement of the nation, spanning both World Wars, through art, photographs, film, audio recordings, military technology, military equipment, official documents, and media articles. A very immersive experience, particularly if you take a guided tour. About an hour's drive out of Canberra, but still within the Australian Capital Territory, is Corin Forest. Located within the Tidbinbilla Mountain Range, it offers a unique Australia experience, a year-round alpine adventure. During summer, guests can trek trails, mountain bike, picnic, or enjoy the exhilarating Alpine Slide that descends 1.2km through the forest. 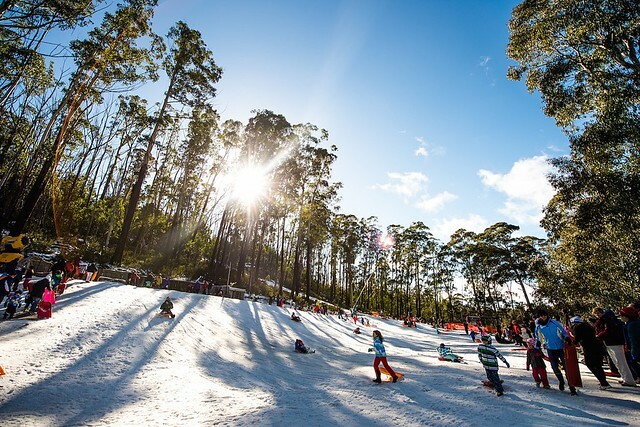 But come winter, the place magically transforms into a snow-play area, offering skiing, snow boarding, tobogganing, building snowmen, snowball fights, or lessons with certified instructors. A nearby lodge provides amenities, with the highlight being roasting marshmallows over an open fire. 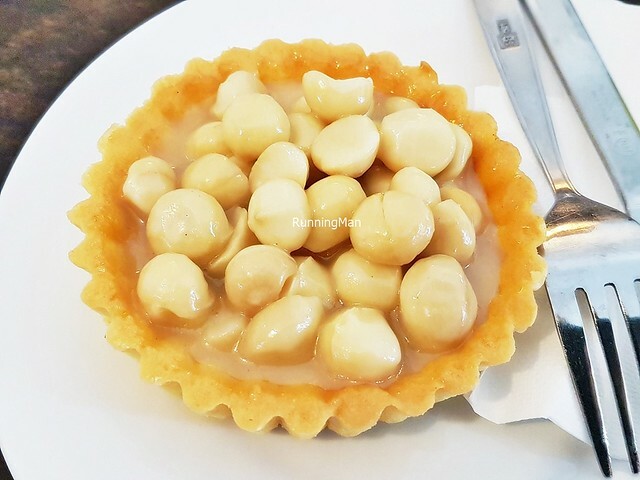 Canberra Street Food is truely international, and fittingly too, as the Australian Capital Territory (ACT), is the place where the seat of Australia government, and the embassies of the world, are represented. This planned city benefits from the surrounding farmlands, vineyards, and rivers, and fresh ingredients feature heavily in all manner of cuisines here. Some examples of the shops in Canberra, whether along the streets or within the shopping malls. Attended with representatives from 8 Days. Like what you see? Wine Compass hosts tailored wine tours in Yarra Valley. Check them out at https://www.winecompass.com.au/yarra-valley/. Located adjacent to the city of Melbourne, the city of Yarra Ranges in the state of Victoria, Australia, is famed for encompassing most of the Yarra Valley. 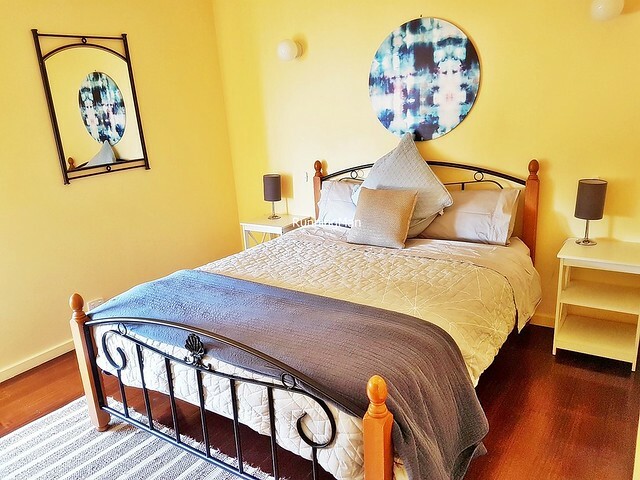 Known for its fresh, agricultural produce, extensive New World wineries, and stunning landscapes of plains, farmlands, and rolling hills, Yarra Ranges boasts incredible natural and cultural attractions. Here are the Top 5 Tourist Attractions to visit in Yarra Ranges, all of which hold important cultural or historical significance. All these are permanent locations which can be visited and viewed at any time throughout the year. The Healesville Sanctuary, formerly known as the Sir Colin MacKenzie Sanctuary, is the equivalent of a zoo in Yarra Ranges, Victoria, except it's set in a natural bushland environment. Specialising in native animals of Australia, it allows visitors to observe the wildlife in their natural habitats, including wallabies, wombats, kangaroos, koalas, emus, dingoes, and over 200 species of native birds. 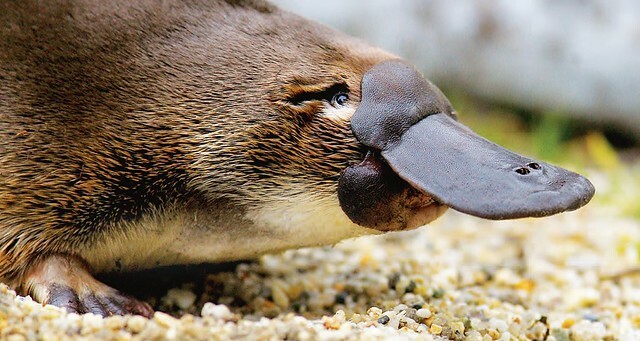 It's also only 1 of 2 places to have successfully bred platypus, and this unique animal is a highlight here. 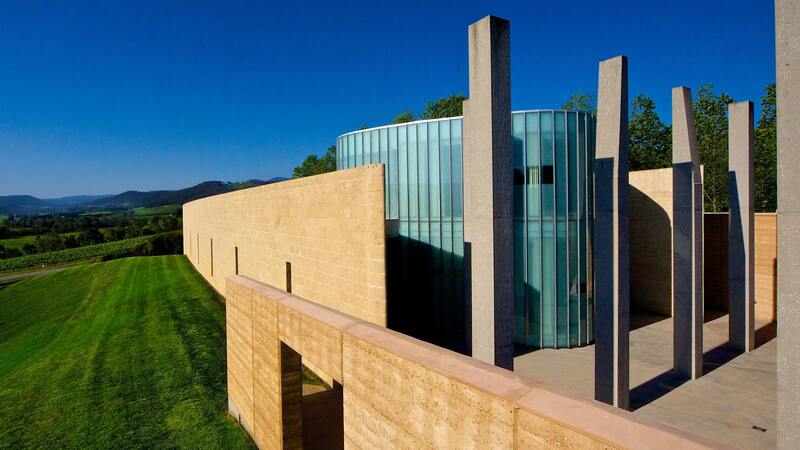 Within the Yarra Ranges in Yarra Valley, the TarraWarra Museum Of Art stands as a tribute to Victoria, Australia, and international visual arts. A cultural icon with an award-winning building architecture design, the museum features seasonally changing exhibitions, having hosted over 70 themed exhibitions since its founding in 2003. Notable permanent pieces in its collection include 'The Workers' by Danila Vassilieff, 'Construction Fence' by Jeffrey Smart, 'The Great Tasmanian Wars' by James Morrison, and 'Australian Art It's An Aboriginal Thing' by Richard Bell. The Alowyn Gardens in the town of Yarra Glen, Yarra Ranges, Victoria, Australia, is more than just a beautiful, landscaped garden. In the centre is a 100-metre long wisteria and rose covered arbor, as well as a relaxing courtyard with a giant chessboard. The 6 themed surrounding areas include; the perennial border garden, the dry garden, the edible garden, the forest garden, the parterre garden, and the display garden. Each area focuses on cultivating a unique set of plants and flowers according to its theme. Among the most iconic hiking trails of the state of Victoria, in Australia, is the Lilydale - Warburton Rail Trail. 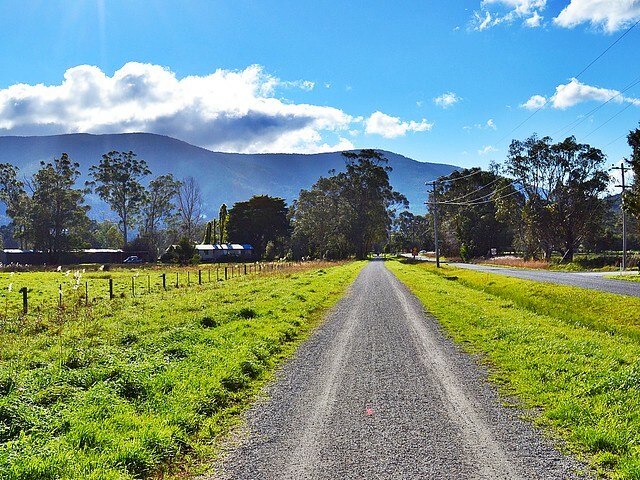 This 40km recreation trail follows the path of the historical railway line through Yarra Ranges, beginning at Lilydale Railway Station and ending in the Warburton town. Spot beautiful hills and streams, vast farmlands and forests, restored bridges and former railway stations, as well as indigenous flora and fauna along the way. 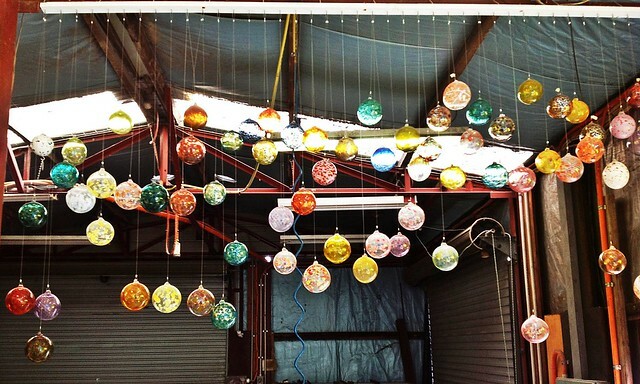 The Healesville Glass Blowing Studio in Yarra Ranges, Victoria, is the studio of artists Tim Bassett and Tali Dalton. Here, visitors can observe the artists create blown glass artwork, jewellery, and household objects, as well as participate in glass blowing classes. Their shop is a vibrant, colourful display of various blown glass objects, ranging from vases to sculptures, with a museum-like quality to the pieces. 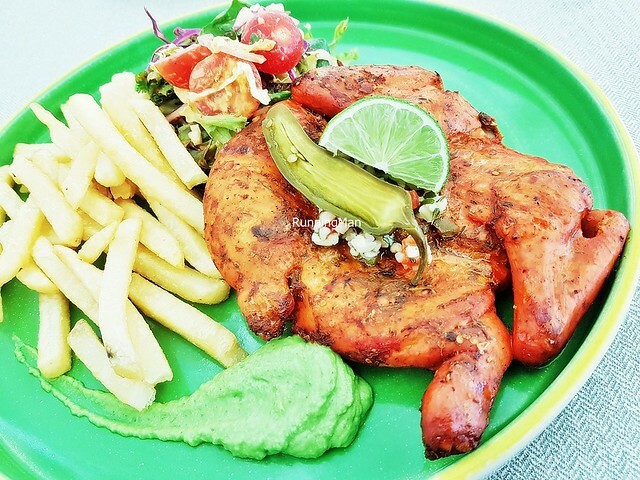 Melbourne Street Food is largely influenced by British English cuisine and cooking styles, because Australia formerly was a colony of the United Kingdom. 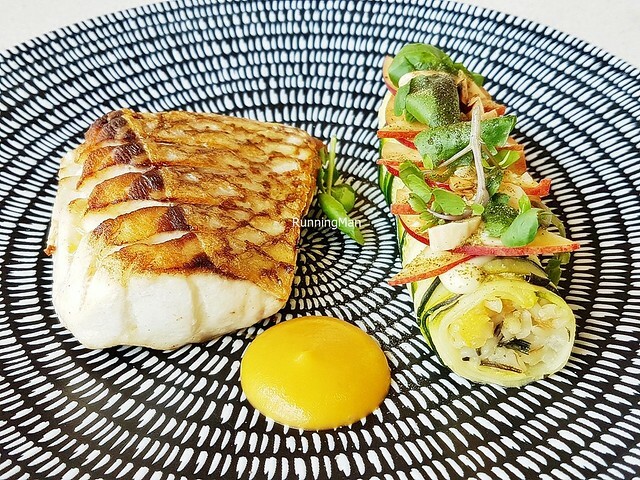 As a largely immigrant country, cuisine in Melbourne is also greatly influenced by other international cuisines including Japanese, Chinese, Thai, Turkish, Indian, American, French, Italian, Mexican, Peruvian, and Spanish. 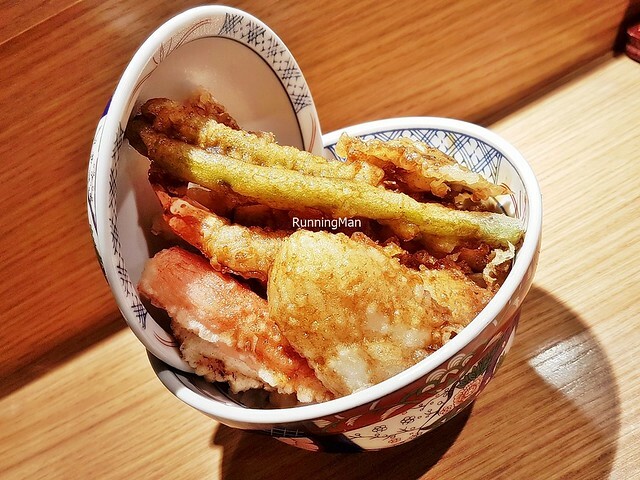 And as a major economic and cultural hub of Australia, the majority of these cuisines are prevalent all over Melbourne, and it's easy to find a wide variety of street food. Spent about AUD $120 / SGD $128 per person. 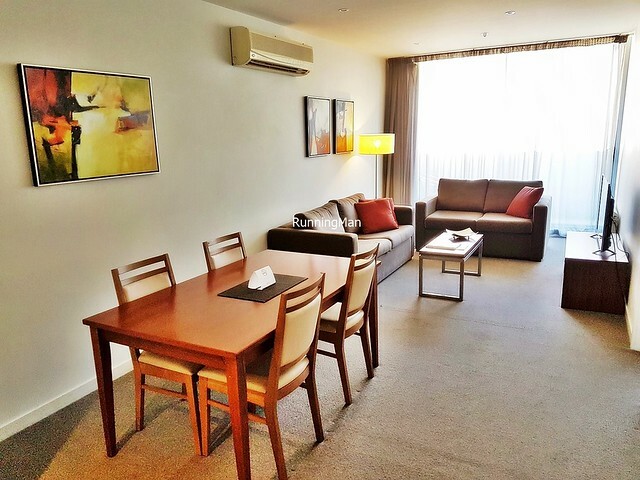 Located about 40 minutes drive away from the Tullamarine international airport in Melbourne, the Quest On Dorcas offers relaxing, comfortable serviced apartments, located near the city centre. 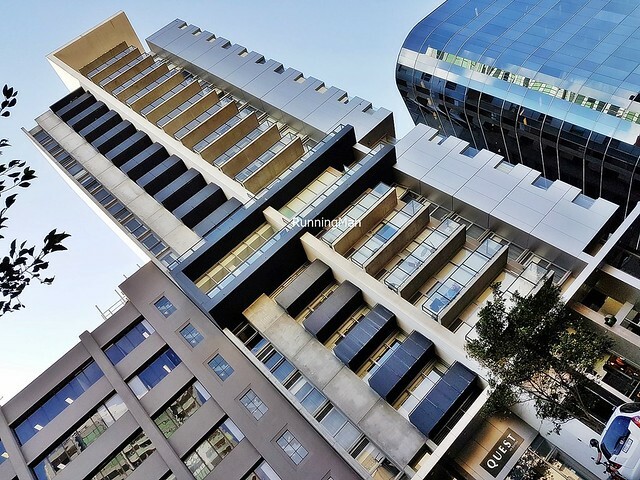 Ideal for both short or long stays, but more suited to business rather than leisure travellers, the Quest On Dorcas serviced apartments are functionally liveable, with several nearby amenities. But nearby entertainment is limited, unless you head to the city. Ambience at Quest On Dorcas is their weakest point. The place is clean, but looks clinical, plain, and drab. Colours of pale beige, white, wood, and grey abound, utterly yawn-inducing in design. The decor and atmosphere looks and feels dated, like it's stuck in the 80s. Except for some flowers and a magazine rack at the lobby, there is little to occupy the attention. I like that the corridors are brightly lit, though the lift lobby and parking lots are very narrow. 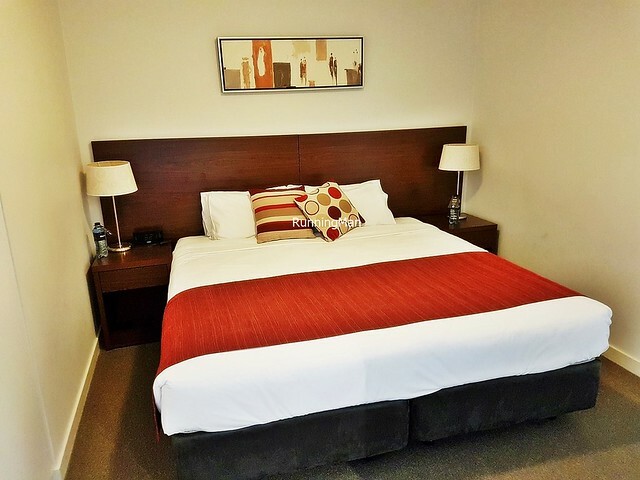 Rooms at Quest On Dorcas are comfortable and spacious. The large beds are soft and comfortable, and the bedrooms are spacious enough to open your luggage, yet still have sufficient walking space. 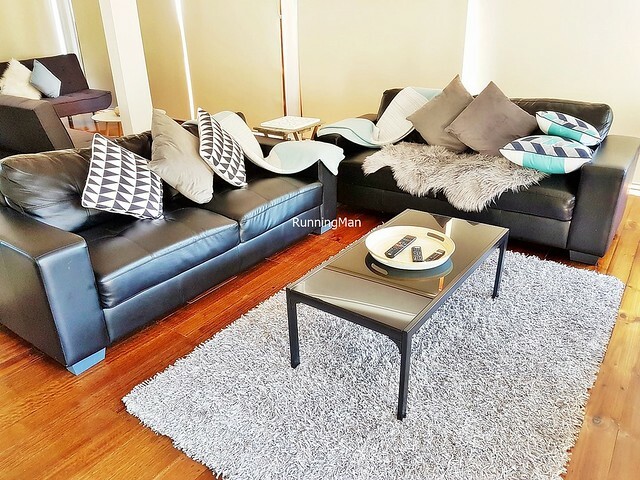 Furnishings are simple but functional, but again, the choice of colours is boring. The bathrooms and in-room kitchenette are well stocked with basic items, which I like. 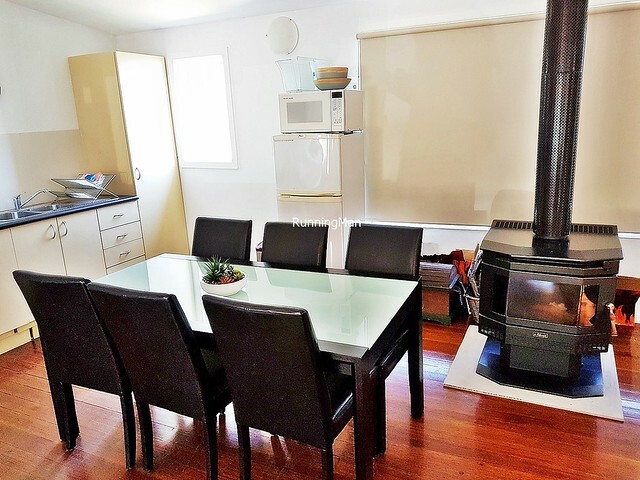 Love the spacious dining and living areas, with the television having a decent range of cable channels. Pretty decent standard and quality, nothing outstanding, but nothing terrible either. Food at Quest On Dorcas is non-existent, as the place does not have an in-house restaurant or cafe. 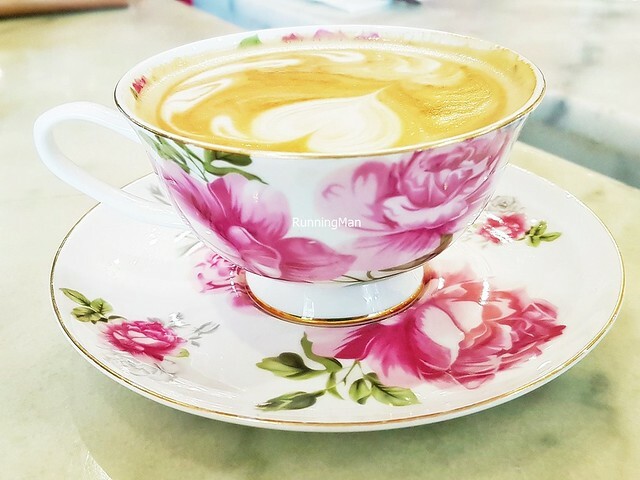 What I find commendable is their partnership with nearby cafes and restaurants, you can dine at these selected places and have it charged to your room. 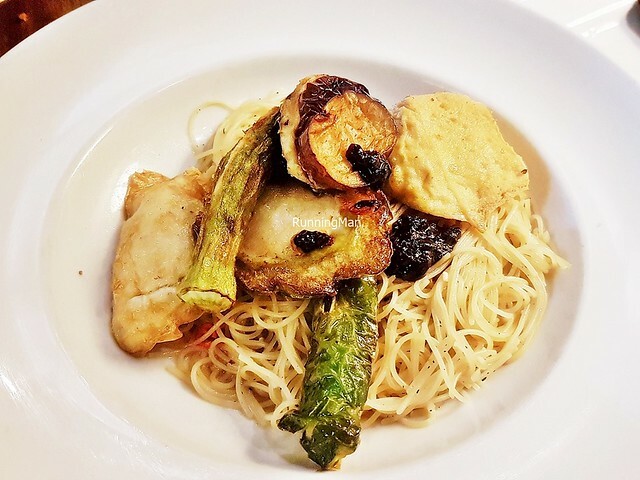 This additional service makes it convenient and appealing to dine out. 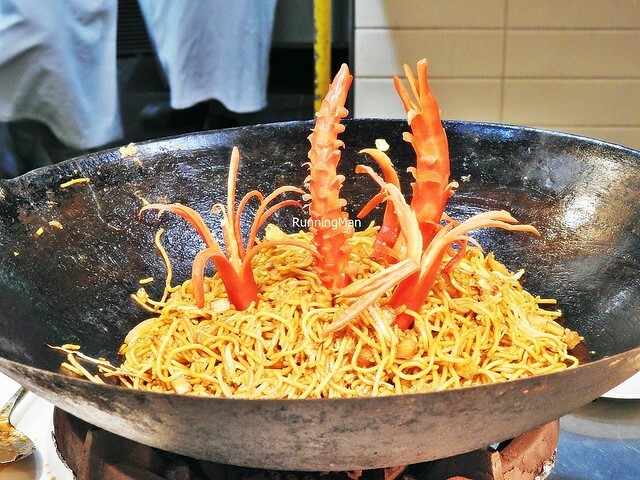 In addition, you can also request for staff to deliver dishes to your room. 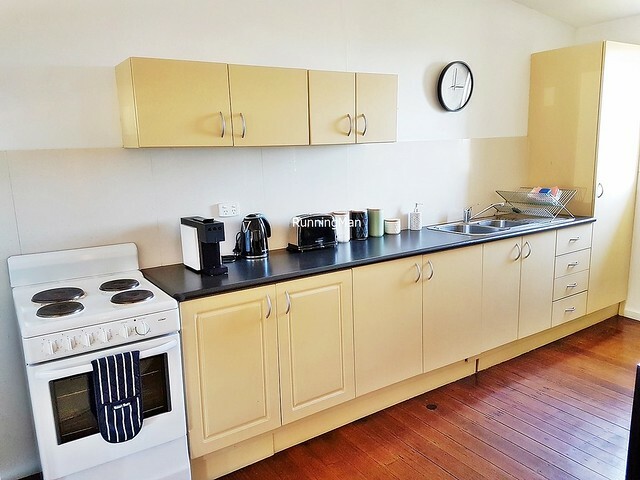 Or, you can choose to utilise the well equipped kitchenette to cook your own meals. Service at Quest On Dorcas is polite, courteous, and helpful. Staff are knowledgeable on the surrounding areas, and will be able to guide guests by providing detailed information. They carry out requests promptly, and will offer greetings when you enter the reception area. 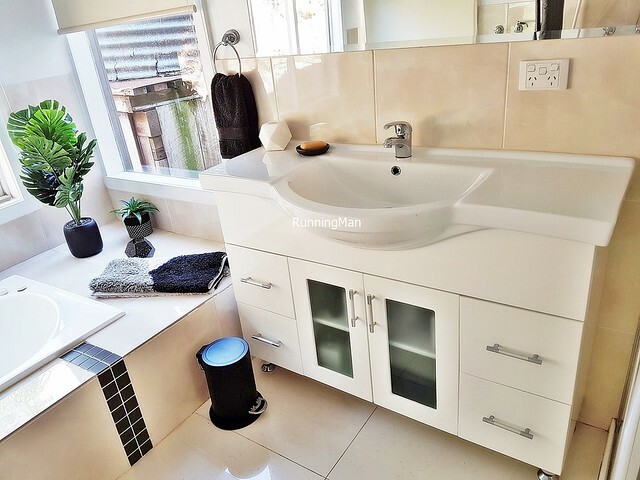 They keep the place clean and presentable, and will replenish spent amenities within the rooms. I also notice corporate social responsibility (CSR) efforts, they support an Australian charity. Pretty good service in my experience. 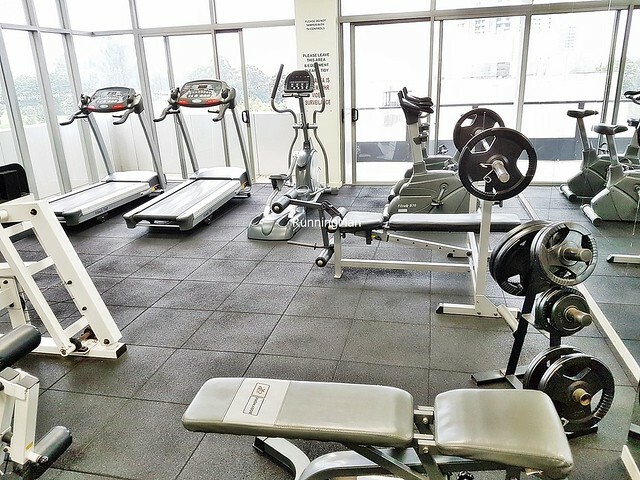 The facilities and activities at Quest On Dorcas is largely limited to a well equipped gymnasium on the premises. Love that the range and variety of workout equipment here is much better than most other places. Quest On Dorcas also benefits from a convenient location, several cafes and restaurants are just downstairs, along with a small supermarket. The city centre is just 3 tram stops away, making it suitable for business travellers. 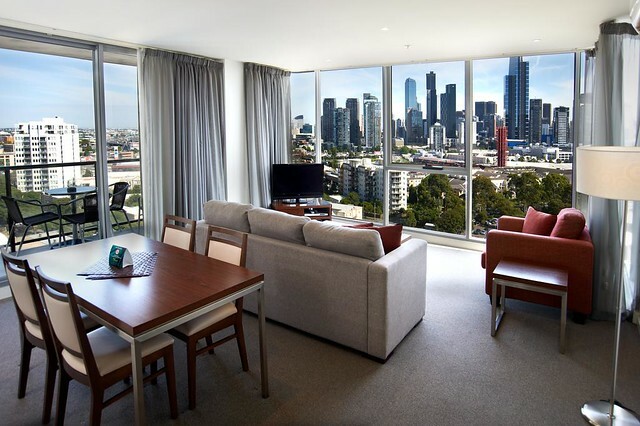 A decent option amongst serviced apartments.